The small Armenian community of India became one of the protagonists of the second half of the eighteenth century. 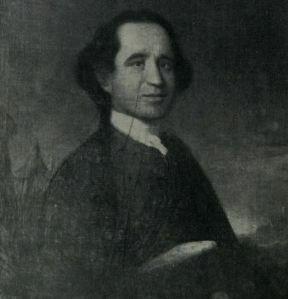 The “group of Madras” introduced the ideas of the Enlightenment in the Armenian realm, while an Armenian from Calcutta, Joseph (Hovsep) Emin, engaged in political projects in Armenia proper. Emin was born in Hamadan (Persia) in 1726. He moved to Calcutta in 1744 to join his merchant father. Seven years later, against the wishes of his family, he left for London. After four years of hardship and misery, deprived from any financial assistance from his family, he met the famous British philosopher Edmund Burke (1729-1797), who took him under his wings. He later entered the Royal Military Academy in Woolwich, and after a year of studies, he enlisted as a volunteer in the British and Prussian armies during the seven-year war (1756-1763) against France. In 1759, Joseph Emin traveled to Holy Etchmiadzin to motivate the Catholicos towards the idea of liberating Armenia. But his expectations were not met and he returned to London. Two years later, he went to Russia and obtained a letter of recommendation from Russian Imperial Chancellor, Count Vorontsov, which he presented to King Erekle II of Georgia in 1763. Emin’s goal was to engage the Georgian king in a joint Armenian-Georgian project to liberate Armenia from Persian and Ottoman rule. The king was initially interested, but in the end dismissed Emin’s project and ordered him to leave the country. Emin went to the Northern Caucasus and was able to reach Karabagh and Zanguezur, but hopes of liberation were pinned to any possible help by the Georgian king. After being ordered to leave Georgia for a second time, he returned to India, but his hopes of getting financial assistance from Armenian merchants there were dashed by clerical opposition. Emin, disillusioned, remained in India for the rest of his life. In 1792, he published his memoirs, Life and Adventures of Joseph Emin, an Armenian, in London. He passed away in 1809 and was buried in the courtyard of Kolkatta’s (Calcutta) Holy Nazareth Armenian Church. His memoirs were reprinted in 1918 by his great, great grand-daughter, Amy Apcar, and translated into Armenian in 1958 by an Armenian American intellectual that old New Yorkers may remember, Hagop Kashmanian (1886-1968).